Please enquire for prices on our other deluxe Memory Foam and Latex Gold® combinations. Is it a waste of time laying on a bed in a retail shop for 5-10 minutes? You won’t know if it suits you until you sleep on it for 1 or 2 nights, so that’s why we offer a 28 day change over guarantee. 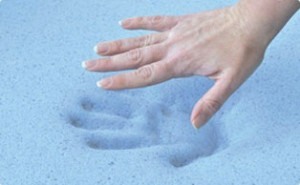 Our “Dream Away” Mattresses are made with a combination of Dunlop® Memory Foams with Dunlop® high density foam core. Covered in our exclusive zip off cotton covers. Special sizes and shapes can be made on request. Fusion Gel Memory Foam is a new advanced product, Gel particles come together under pressure providing greater support where you need it most. Keeping you cool in summer and warm in winter the Enhanced airflow and heat dissipation for your ideal temperature. Visco-elastic foam (known as Memory Foam or Space Age Foam) was originally developed by NASA engineers in the late 1970s for pressure relief during space travel. It was immediately taken up by the medical industry for its therapeutic properties. The same material is now used in hospitals, nursing homes, and burn units to make patients more comfortable. By completely contouring to your body shape it creates less pressure on all parts of our body, thus blood circulation improves and your spine aligns naturally. Tempur® or Tempur-pedic® Were the first company to manufacture visco-elastic to the domestic market, but since 1990, many other companies around the world (Dunlop in Australia, Breasley in USA and UK now manufacture this great product) and it has become one of the most popular sleep surfaces ever invented. It is now recognized by the medical profession and sport therapists for its healing power. Since 1990 Visco-Elastic has become one of the most popular sleep surfaces ever invented. As it is now hailed by the Medical Profession and sport therapists for its healing power. Independent research has proven that sleeping on a bed which reduces pressure points improves the quality of your sleep and increases your wellbeing when you awake. It is generally agreed by researchers that any pressure above 45-50mmHg can result in capillary closure and tissue damage. The above pressure mapping shows that Dunlop memory foams (Two left diagrams) reduce pressure to well below these limits. 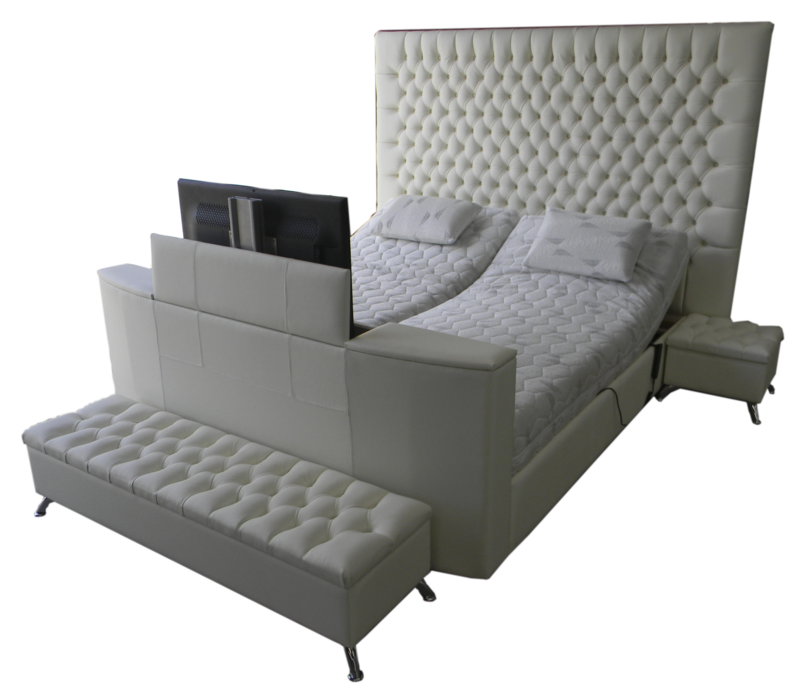 Yes we can compliment your new purchase with our exclusive Adelaide, Sydney, Euro or Regency bedroom suite. Yes we have our own cabinet maker on staff to make the exclusive design you want. Yes finance options and interest free available conditions apply. 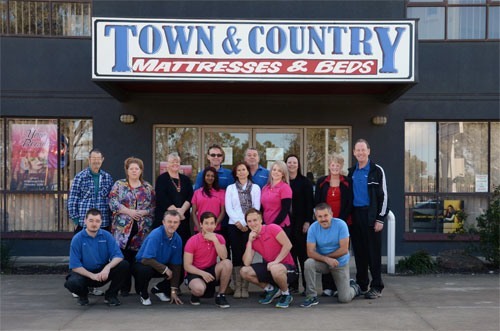 We can shape your mattress to any shape (popular with caravans and campers), so there’s no other supplier you need for a memory foam mattress in Australia. Consider having our massage units built into your Latex or Viscoflex mattress. These are fantastic, especially if you suffer any aches and pains in bed. The great plus of our massager is that it is easy to use, has automatic timers and settings and can help you sleep soundly. The benefits of massage have been known for thousands of years, and it’s the ideal way to relax, and help rid the body of harmful toxins. Yes you can also buy as an add on infrared as well as cord remote controls if required. Give us a call on 1300 335 905 to find out more about our queen size memory foam mattresses!